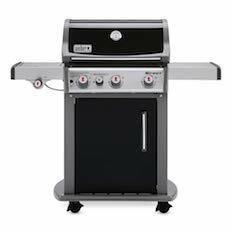 Weber Spirit E-330 3-Burner Propane Gas Grill with Side Burner Now Only $123 [Reg. 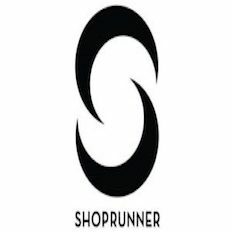 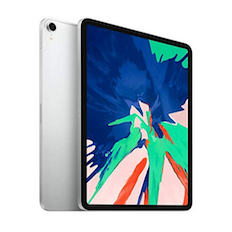 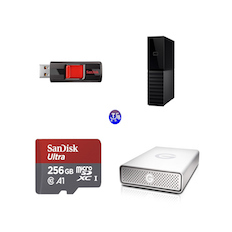 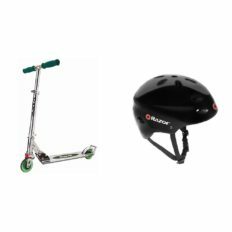 $599] + Free Shipping! 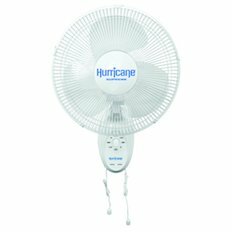 Hurricane Wall Mount Fan Now Just $16.93 [Was $33.95] at Amazon! 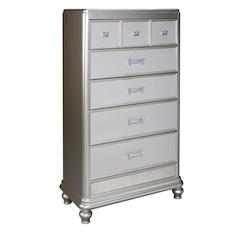 Ashley Furniture Metallic Silver Coralayne Chest of Drawers Now $168 [Was $550+] + Free Shipping! 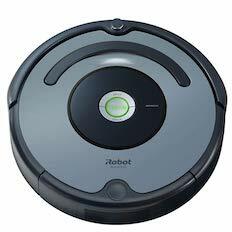 iRobot Roomba 640 Robot Vacuum Now Just $229.99 + Free Shipping at Amazon! 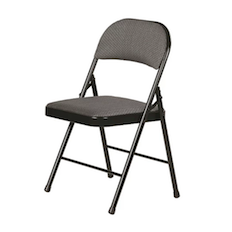 4-Pack Fabric Padded Folding Chairs For Only $45.59 + Free Shipping! 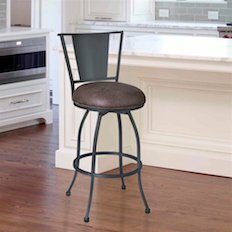 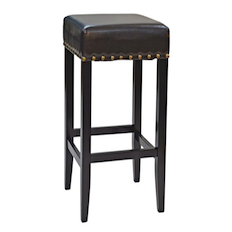 Armen Living Dynasty 30″ Bar Height Barstool Now $24.99 After $78 Price Drop! 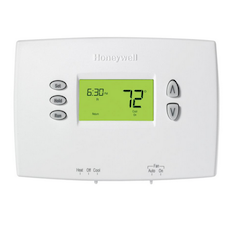 Honeywell 5-2 Day Programmable Thermostat For Only $10 at The Home Depot! 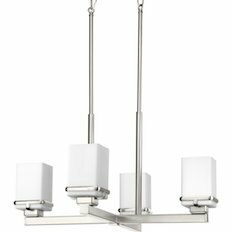 Progress Lighting Metric Brushed Nickel Four-Light Chandelier Now $99.57 After $81 Price Drop! 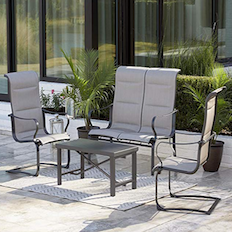 COSCO Outdoor Living 4 Piece SmartConnect Patio Set Now $387 After $312 Price Drop! 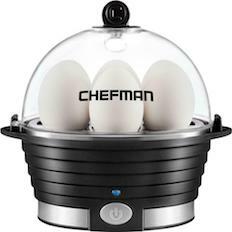 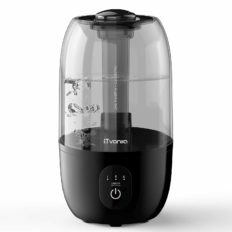 Ultrasonic Cool Mist Humidifier For Only $6.99 After Stacking Promos! 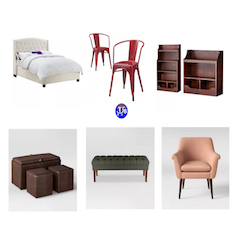 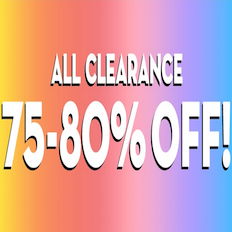 Get Up To 70% Off Furniture Clearance at Target! 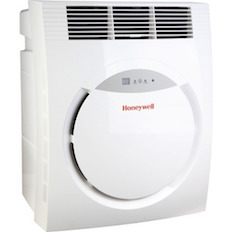 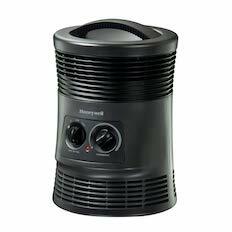 Honeywell 360-Degree Surround Heater For Only $14.99 [Was $28.49] at Amazon! 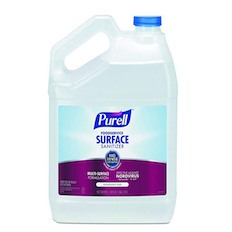 Pack of 4 PURELL Foodservice 1-Gallon Surface Sanitizers For Only $15.99 After $26 Price Drop! 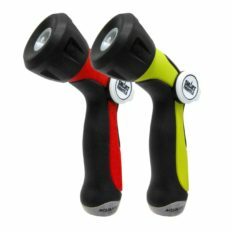 2-Pack Aqua Joe Adjustable Hose Nozzle w/Smart Throttle Control For Only $4.99 + Free Shipping! 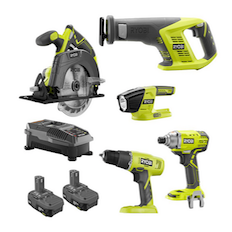 RYOBI 18-Volt ONE+ Li-Ion 5-Tool Combo Kit with Drill, Circ Saw & More For Only $149 Shipped at Home Depot! 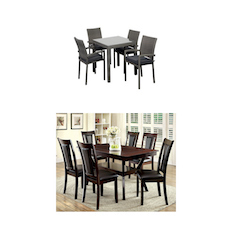 Atlantic 5-Piece Liberty Square Dining Set Now Just $158! 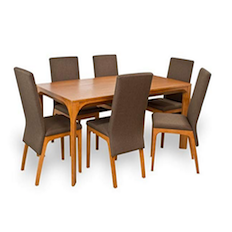 Furniture of America Dalcroze 7-Piece Modern Dining Set Now $387! 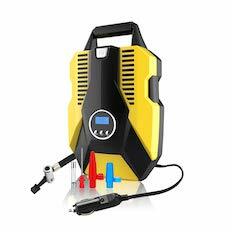 Get this Portable Tire Inflator/Air Compressor for Cars, Bikes, Basketballs & More for Only $12.99! 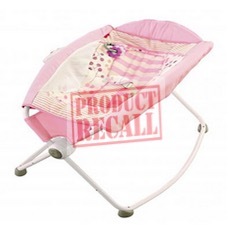 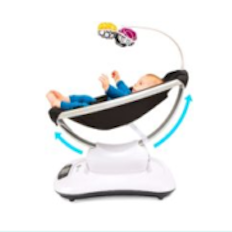 4moms MamaRoo 4 Bluetooth-Enabled High-Tech Baby Swing Now $140.79 [Was $219.99] + Free Shipping! 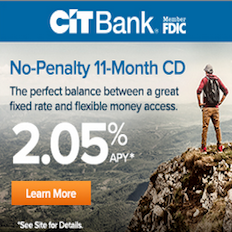 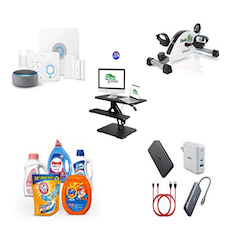 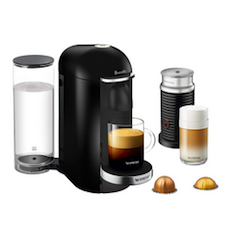 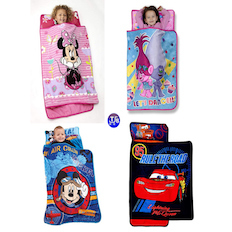 Roundup of Amazon Deals for February 4th! 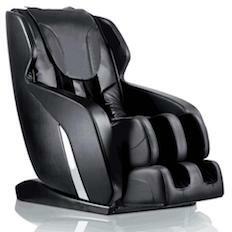 eSmart Ultimate Massage Chair with Multi Therapy Programming Now $799 + Free Shipping! 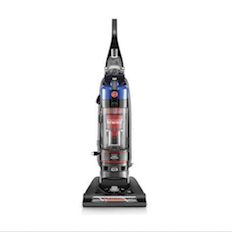 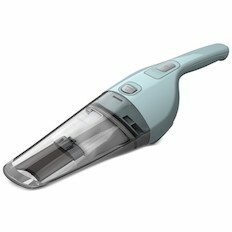 Hoover WindTunnel 2 Bagless Upright Vacuum Cleaner From Only $45.99 + Free Shipping! 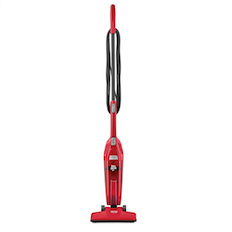 Dirt Devil Versa Power Clean Stick Vacuum For Only $9.99 + Free Shipping! 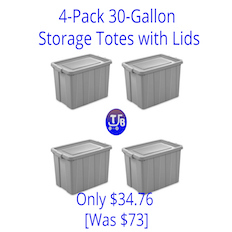 4-Pack Sterilite 30 Gallon Storage Totes with Lids For Only $34.76 [Was $73] + Free Shipping! 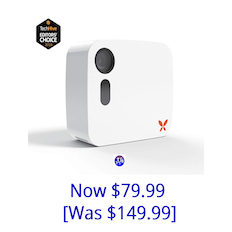 Ooma Butterfleye 1080p Smart Wi-Fi Security Camera Now $79.99 After $70 Price Drop! 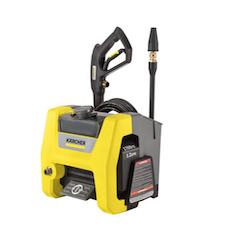 Karcher Cube 1700-PSI 1.2 GPM Cold Water Electric Pressure Washer Now $99 Shipped After $50 Price Drop! 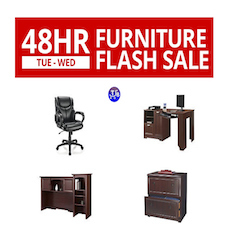 Office Furniture Flash Sale at Office Depot! 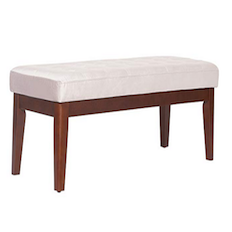 Save Up To 50% on Office Desks, Chairs, Cabinets & More! 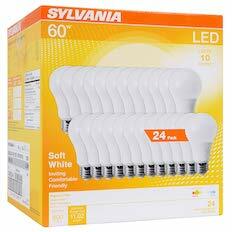 24-Pack Sylvania 60W Equivalent Soft White A19 Non-Dim LED Light Bulbs For Only $22.91 + Free Shipping! 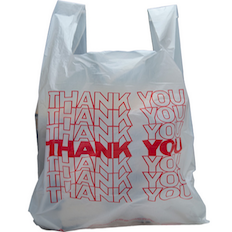 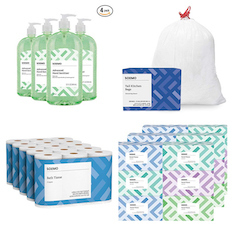 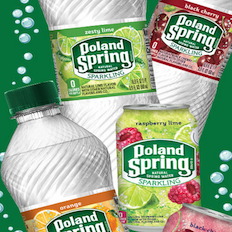 18 Boxes of Amazon Brand Solimo Tissues $16-$18.82; 200-Ct Kitchen Drawstring Trash Bags $13-$14.54; 30-Ct Toilet Paper $12.68-$14; 4-Pack Large Hand Sanitizers $8-$9! 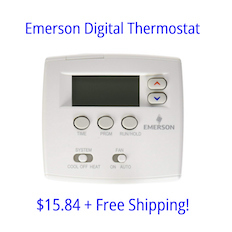 Prime Exclusive: Emerson Single Stage 5/1/1 Programmable Digital Thermostat For Only $15.84 at Amazon! 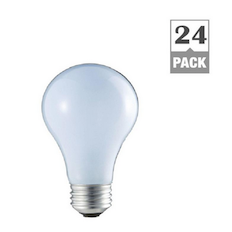 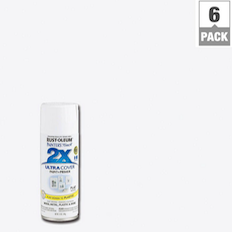 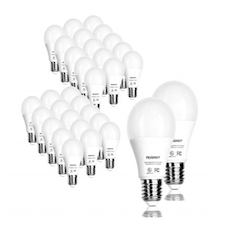 24-Pack EcoSmart 40-Watt Equivalent A19 Halogen Light Bulbs For Only $5.97 + Free Shipping! 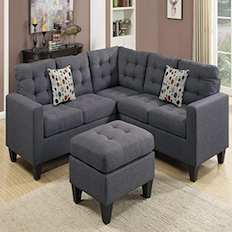 Poundex Bobkona Norton Linen-Like 4 Piece Sectional with Ottoman Set Now Just $386 Shipped at Amazon! 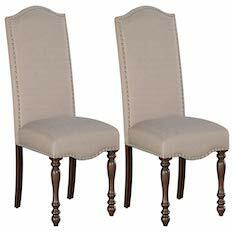 Set of 2 New Pacific Texas Bicast Leather Chairs For Only $82.78 [Was $400] Shipped at Amazon! 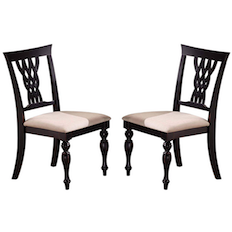 Ashley Furniture Baxenburg Dining Room Chairs For Only $63.70 Shipped at Amazon! 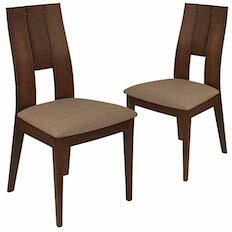 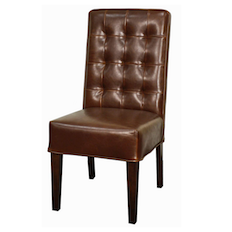 2-Pack Flash Furniture Walnut Wood Dining Chairs For Only $39 After $110 Price Drop! 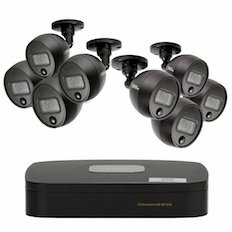 Q-See 8 Channel Analog HD DVR with 8 Passive Infrared Bullet Cameras Now Just $149.99 After $150 Price Drop! 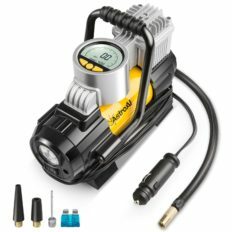 Top Rated AstroAI Portable Air Compressor Pump Tire Inflator w/Extra Nozzles & Adapters For Only $28.49 Shipped at Amazon! 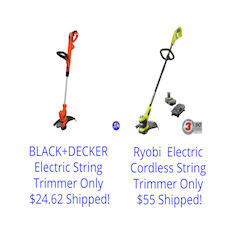 BLACK+DECKER Electric String Trimmer Only $24.62 Shipped! 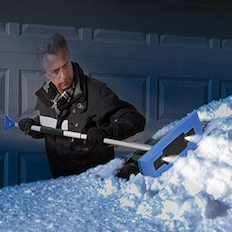 Ryobi ONE+ 18-Volt Lithium-Ion Electric Cordless String Trimmer Only $55 Shipped! 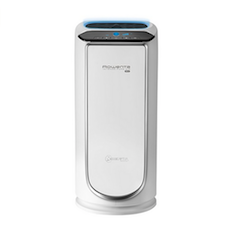 Rowenta Intense Pure Air XL Air Purifier Now Just $189.99 at Woot! 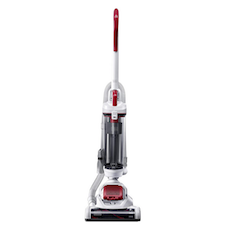 Black & Decker Ultra Lightweight AIRSWIVEL Upright Cleaner For Only $30.47 After 50% Off Promo Code! 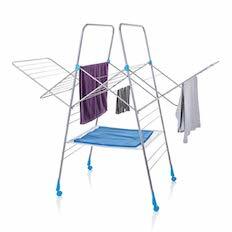 Minky Multi Dryer 78′ Drying Rack For Only $18.44 [Lowest Ever] + Free Shipping! 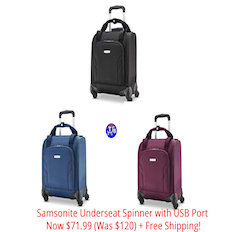 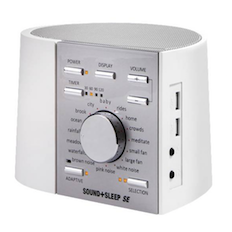 Samsonite Underseat Spinner with USB Port Now $71.99 (Was $120) + Free Shipping! 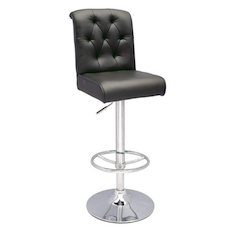 Milan Marlie Tufted Pneumatic Swivel Stool For Only $35.86 [Was $133] + Free Shipping at Amazon! 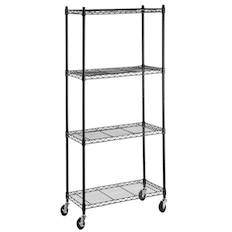 AmazonBasics 4-Shelf Shelving Unit on 3” Casters Now Just $32.39 + Free Shipping at Amazon! 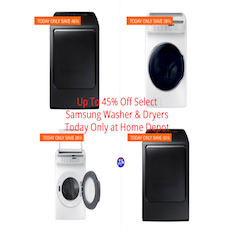 Get Up To 45% Off Select Samsung Washer & Dryers Today Only at Home Depot + Free Delivery! 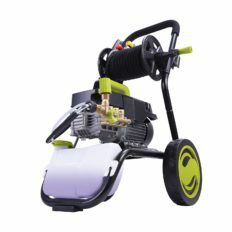 Sun Joe 1800 PSI 1.6 GPM Commercial Pressure Washer with Roll Cage and Hose Reel Now $127 [Was $490] + Free Shipping! 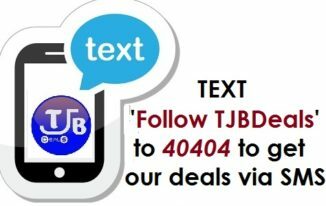 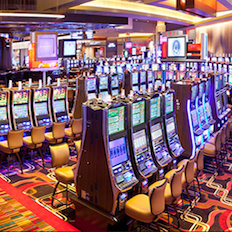 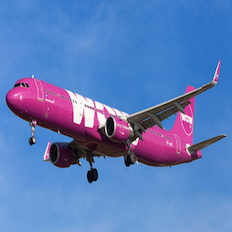 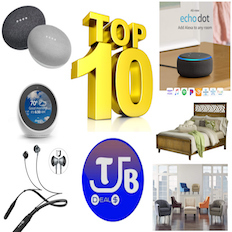 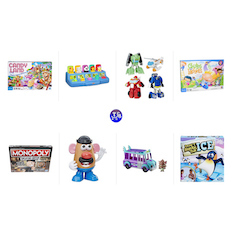 Top 10 Deals of 2018! 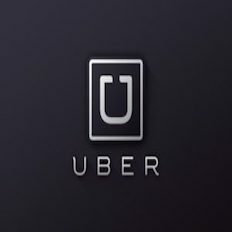 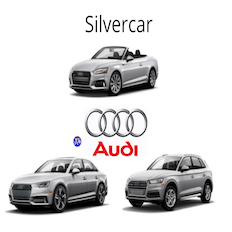 What Made #1? 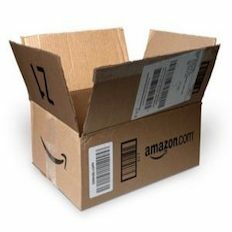 How Many of the Top 10 Were You Able To Order?! 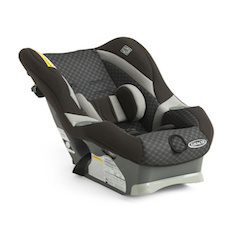 GRACO My Ride 65 Convertible Car Seat For Only $39 + Free Shipping! 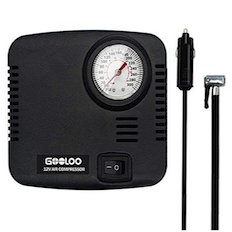 Portable Air Compressor/Car Tire Inflator For Only $7.39 Shipped After Stacking Promos! 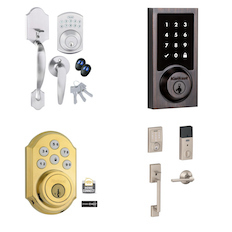 Save On Select Smart Door Locks Today Only at Home Depot!